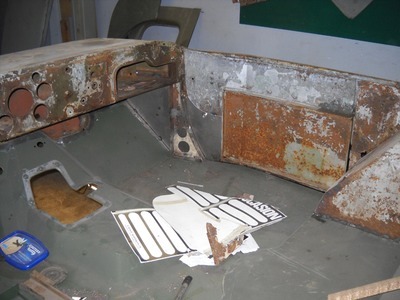 After completely dismantling the jeep, the restoration could begin in earnest. 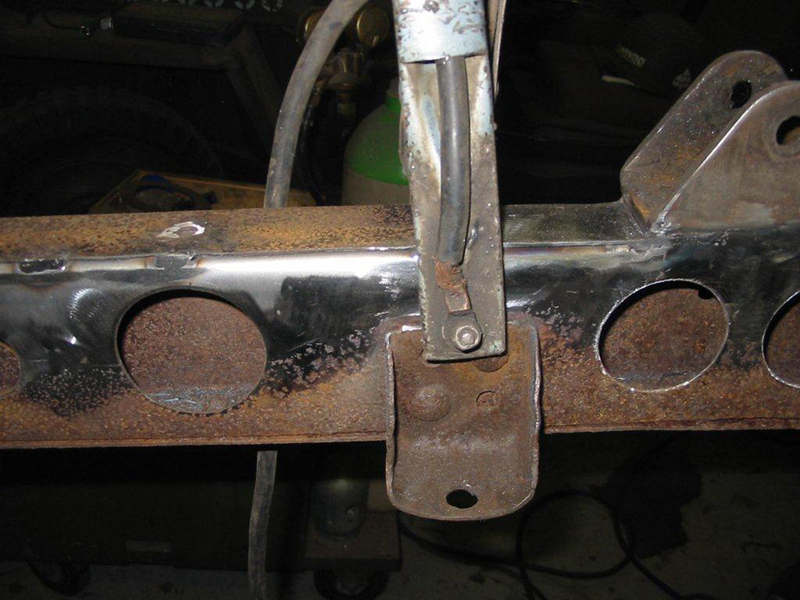 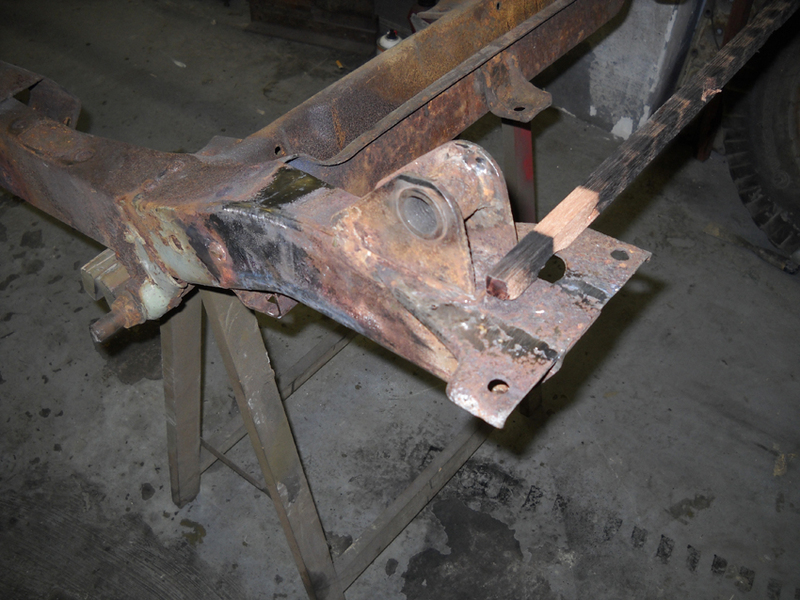 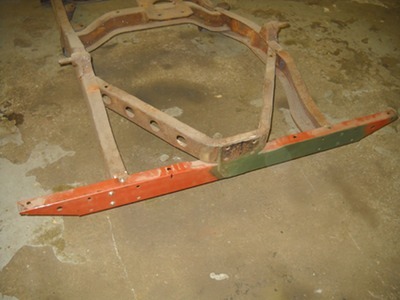 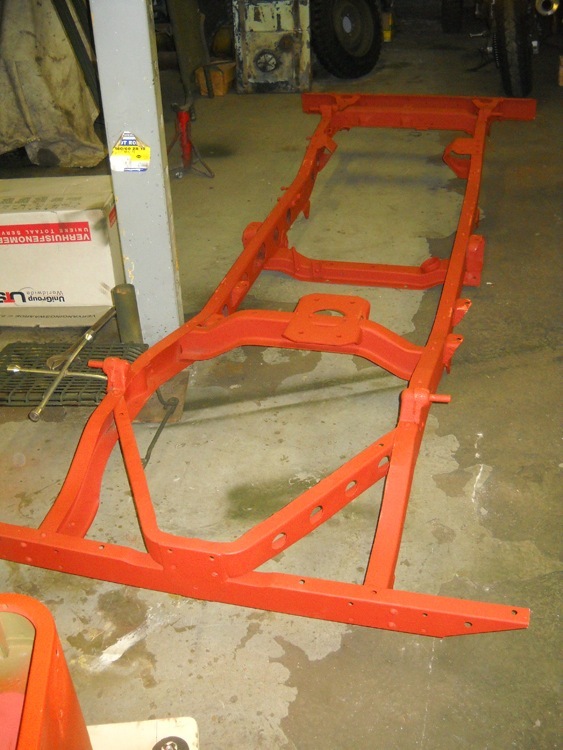 We started with the frame by replacing the rear bar, replacing parts of the frame that were too rusted through to preserve, aligning the frame, sandblasting it, and finally give it a coat of red-oxide primer. 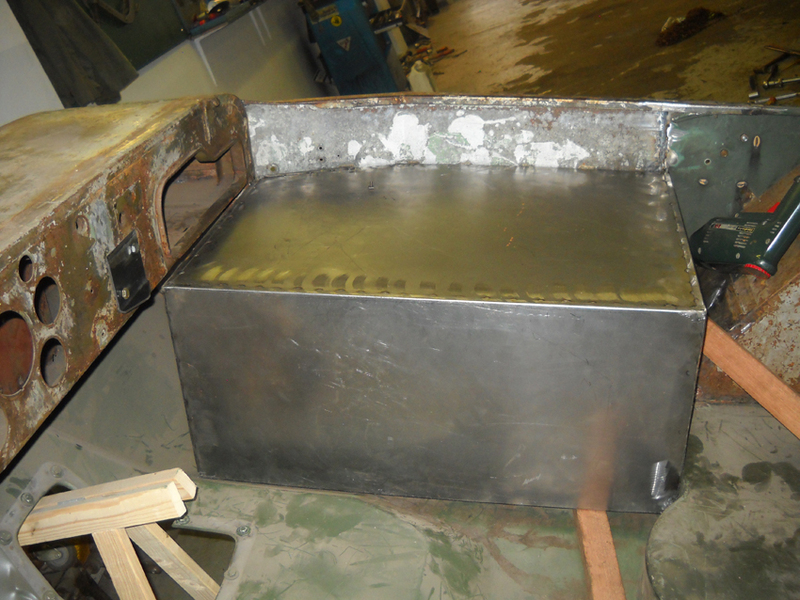 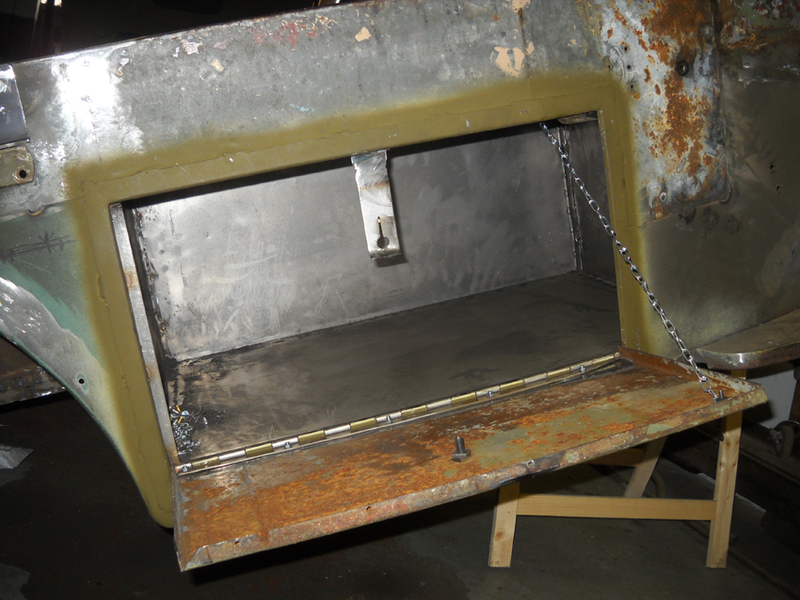 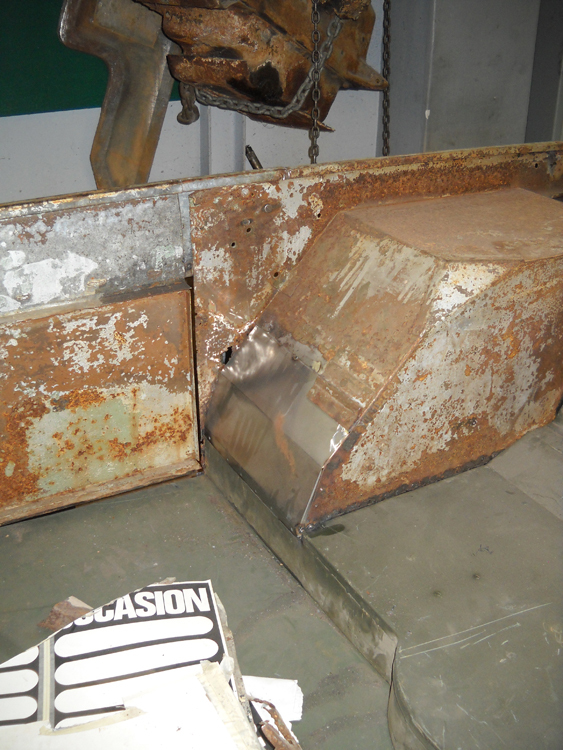 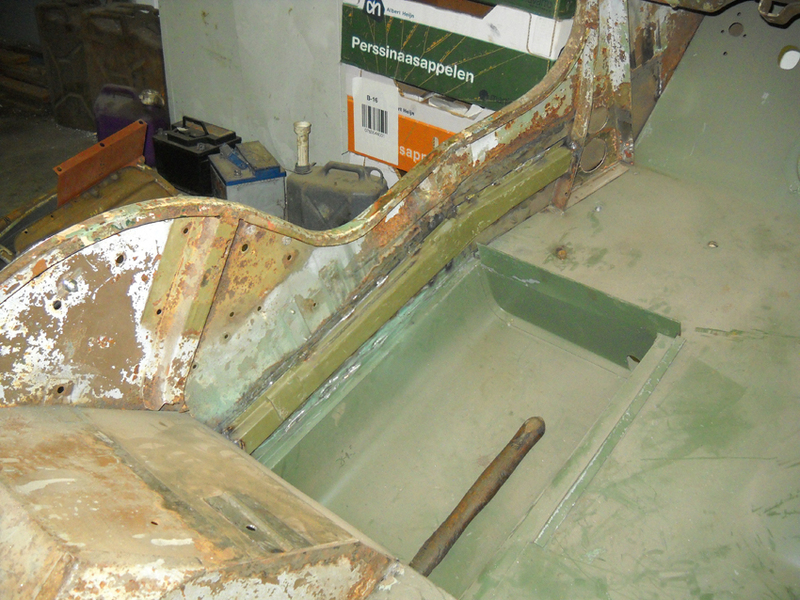 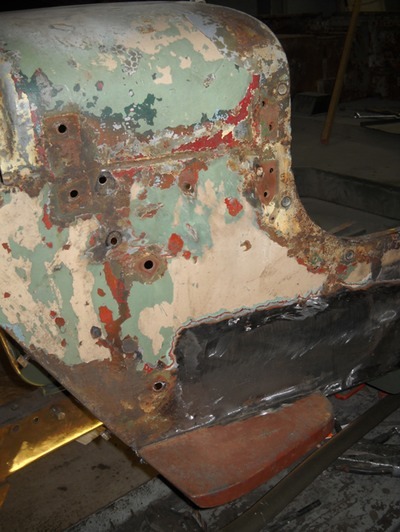 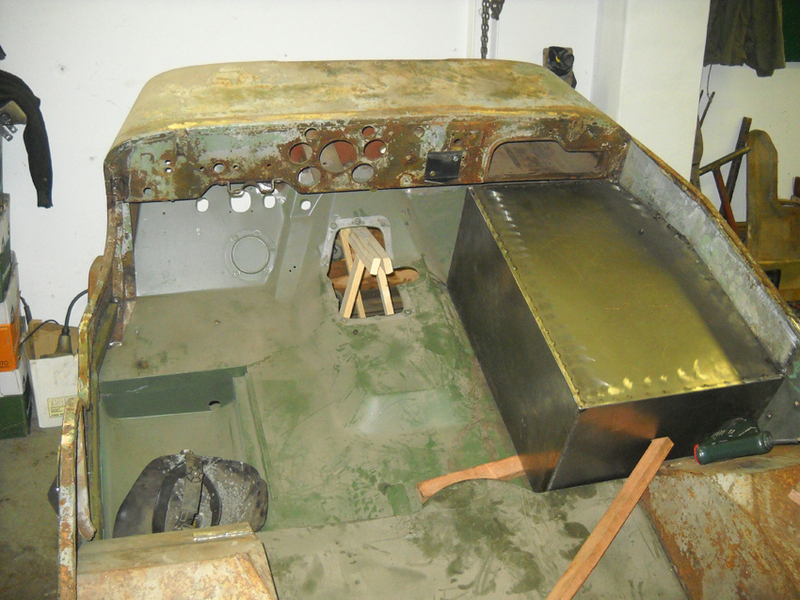 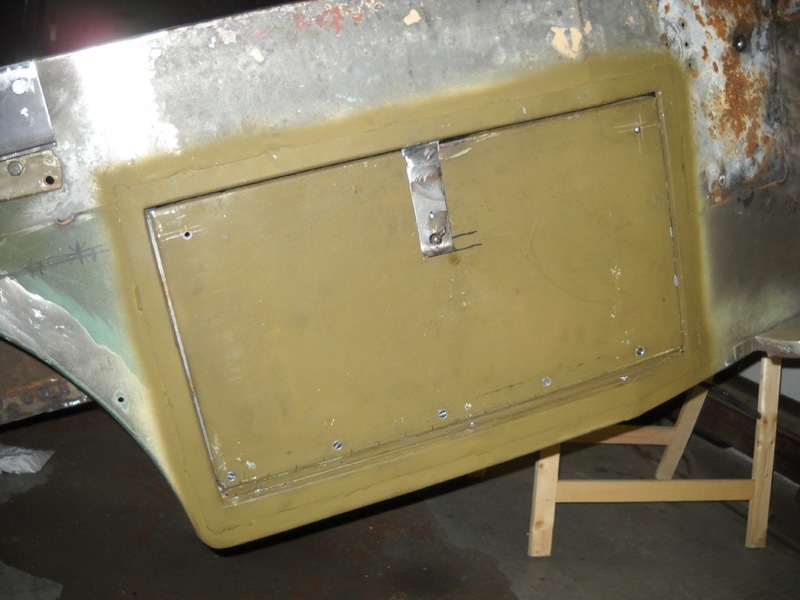 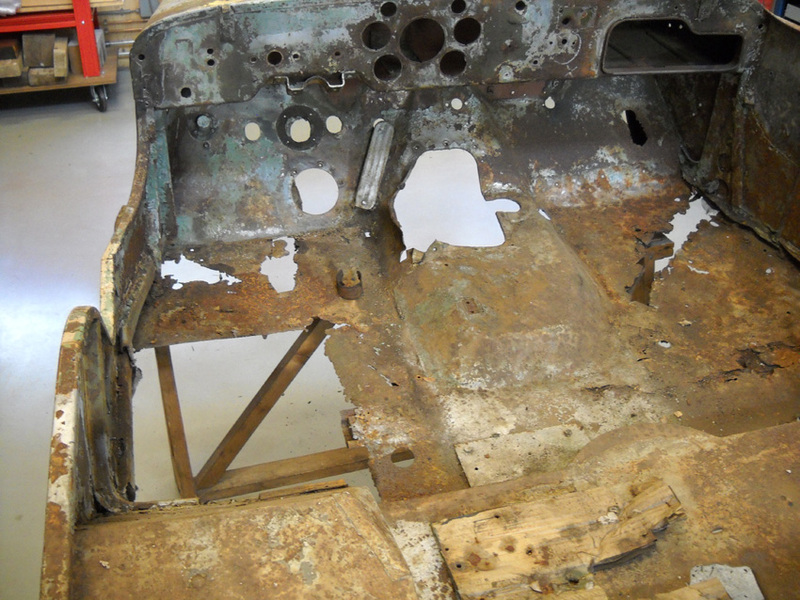 The second step of the restoration was doing the sheet metal work on the body. Because of its condition, the complete floor had to be replaced, including a new gas tank tub. After that several notorious weak spots on the side of the body, e.g. the spots where the shovel and ax are mounted, were replaced as well.